Expect to be welcomed to Bay Area Audiology by an outgoing staff and warm family-friendly environment. From newborn hearing screenings to adult evaluations, Dr. Muth believes in providing plenty of time focusing on educating her patients rather than on high pressure sales techniques. Being independently owned allows us to remain unbiased in our recommendations on the hearing solution that is best for you, whether it be hearing aids, an assistive listening device, or simply improved communication strategies. We are not influenced by sales incentives or tied to any manufacturer contracts. Dr. Trisha Muth is a licensed, clinical audiologist in the state of Maryland. She received her Bachelors of Science (B.S.) degree in Speech Pathology and Audiology and her Clinical Doctorate in Audiology (Au.D.) both from Towson University. Dr. Muth has a Certificate of Clinical Competence in Audiology (CCC-A) from the American Speech-Language & Hearing Association. She is a Fellow of the American Academy of Audiology, a Fellow of the Academy of Doctors of Audiology, and a Member of the Maryland Academy of Audiology. She specializes in adult and pediatric diagnostic evaluations and the fitting/programming/troubleshooting of hearing aids. 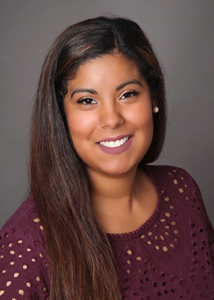 She is passionate about audiology because she gets to improve her patients’ quality of life on daily basis. Dr. Muth grew up in Bel Air and attended the John Carroll School. She spent most of her younger years on the soccer field, but now enjoys spending her weekends with her newlywed husband and extended family at the pool, traveling, exercising at the gym, and dabbling in organic gardening. 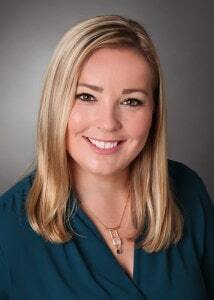 Dr. Annamarie McDermott is a licensed, clinical audiologist in the state of Maryland. She received her Bachelors of Science (B.S.) degree in Speech Pathology and Audiology from Bloomsburg University and her Clinical Doctorate in Audiology (Au.D.) from Towson University. Dr. McDermott has a Certificate of Clinical Competence in Audiology (CCC-A) from the American Speech-Language & Hearing Association. She spent a year specializing in pediatric audiology at Nemours A.I. duPont Hospital for Children, one of the top children’s hospitals in the country. She strives to provide excellent care to her patients of all ages and to know them on a personal level. Dr. McDermott enjoys spending her weekends with her newlywed husband, playing with their dog, and traveling.